ADA Compliance Options: Why CASp? For those of you who don’t know, CASp stands for Certified Access Specialist. The short version of this history is that the California Senate passed a bill, SB 1608, which altered the nature of ADA compliance requirements for businesses. This was an ambitious bill, pushed forward mainly by the California Chamber of Commerce. SB 1608 has far reaching effects. This article discusses some of the benefits of SB 1608 weighed against some of the added liabilities for business owners. If you want a more detailed history of SB 1608, you can go to the California Chamber of Commerce ADA Reform page. We’ve extracted some of the key points from their website, as they are quite broad of this lobbying effort. I assume that you’re a business owner. If you aren’t, then you’re probably either an attorney, a contractor or an architect (or an activist). Either way, you’re interested in how SB 1608 impacts businesses, places of public accommodation as defined under Title 3 of the ADA. Let’s start with the liabilities. Understanding the benefits are less meaningful if you don’t know the liabilities. I assume you’re already familiar with the responsibilities of ADA Compliance at your place of business. Basically, your business must work towards becoming 100% ADA Compliant. There are a few things to consider in the course of this, like what kind of ADA inspection do you want to get, or when you will fix certain items. Otherwise, the liabilities listed here are what CASp adds to your responsibility. It’s important to note that ADA inspections are only the first step towards ADA Compliance. An inspection, not even a CASp inpsection by itself, does ANYTHING to subtract from your duties to comply with the law. What a complete ADA inspection does, is demonstrate good faith effort. Inspections also are useful for contractors and architects who are not generally well versed in ADA compliance. CASp and SB 1608 was passed only to protect businesses interested in ADA Compliance. There are two main considerations. 1. A CASp inspection requires that a timeline be implemented as to when items are to be made in compliance. There are no standard guidelines for how to assess this — as such a timeline is largely dependent on the financial resources of the entity in question. This means that any CASp inspector needs to work with the entity in determining an accurate guide as to when items should be fixed. If the timeline is too strict, the entity may fall behind fixing these items and in the case of an ADA lawsuit, the entity will look faulty. If the timeline is too lax, in the case of an ADA lawsuit, the entity could have fixed certain times and remained needlessly liable for that time. Remember the point of CASp is to become ADA compliant. If you get a CASp Report and then do nothing, you will become more liable over time. If you display the CASp certification, considering no one else has one, you’ll probably deter ADA lawsuits for a time. After a time, having the CASp certification with obvious ADA violations will get you sued. Then you’ll look extremely worse in court for not complying at all. 2. CASp can be quite expensive, because of the added liabilities to the CASp Inspector in determining the timeline. The average cost of CASp is $2400. 3. This is not a liability, but it is worth mentioning: CASp goes into effect only if the site is sued AFTER getting a CASp inspection. No protection is offered retroactively. 4. A CASp licensed individual is required to be included in building departments. The original time line stated that such an individual was to be included as of July in 2010, but this date has been moved into 2014. CASp is meant to bridge State Building Code and ADA guidelines, as most contractors and architects are not well versed in Federal Civil Code. While having a CASp individual does not offer a significant benefit, as local ordnances only have jurisdiction over State law, not Federal Civil Law. A CASp individual in the local building department is a resource to local businesses but as a state employee such an individual is limited to advising about the State regulations. If you want the benefits of CASp, you’d still have to hire them outside of their normal building department job and pay them the required amount. The California Chamber of Commerce has listed 10 benefits of SB 1608 for businesses. We have divided these benefits into two groups, for those who get CASp and everyone else. This is the first section. 1. Part of the fear of ADA compliance is the cost. CASp helps a business focus on what they can pay for. Remember, the timeline is there to help businesses comply within a reasonable time frame. If a CASp inspector understands approximately how much a business can afford for ADA compliance per month, the cost of compliance can be spread out over time to achieve 100% ADA Compliance. 2. CASp certification is offered for all sites, even if they are not yet compliant. This certification can be posted on a store window to deter litigants looking for an easy target. 3. CASp tries to help businesses avoid expensive lawsuits. To this end, CASp allows businesses to request a 90 day stay. This means that opposing attorney can’t rack up expensive attorney fees during discovery, while you decide what to do (accept their settlement or not). The effects of SB 1608 offer several included benefits for business owners whether they get CASp inspected or not. 1. Litigating attorneys who demand money must also include a statement advising the business what their rights are. So if you haven’t got CASp, you won’t be able to request the 90 day stay. 2. SB 1608 limits the amount of the damages to $4,000 per visit. Furthermore these damages must be related to the plaintiff and explained how they injure the plaintiff. For example, having detectable warnings helps protect those who are legally blind. Someone in a wheelchair probably won’t be able to sue for a lack of them. Grab bars would effect such a plaintiff, however, so they will be able to make a complaint about that. 3. A clause is included in SB 1608 to help lessen the attorney’s fees in a settlement. 4. CASp individuals are going to be more common, at least loosely tied to local building deparments (see item #4 under liabilities of CASp). 5. Architects and contractors will be required to learn about the ADA as part of their continuing education so they can be at least aware of what they don’t know. 6. A State Commission is formed to help interface the Disabled Rights and interests of Building Departments. 7. Cal Chambers also lists “new deadlines” for State building code compliance with ADA requirements. The Division State Architect was already doing this with the Department of Justice. It’s important though, to have a codified process as the building code is updated every three years. The ADA is also updated but less frequently. CalChambers does recognize the need for some coordination between advocacy groups and the interests of the status quo, but as a business organization, they tend to lean towards the interests of big business. Much of what SB 1608 does is to help entities that have cash take advantage of SB 1608’s lowering of the cost of lawsuits. Smaller businesses that do not have funds must rely on pressuring larger property management firms to help with the cost of ADA compliance. It’s also important to note that CASp cannot stop lawsuits, they can only help make the process more difficult for litigants. One of the long term consequences of CASp is that as businesses get CASp certification, those who do not have it, or cannot afford it will face a steeper battle as they become easier targets for litigation. Add onto this that the Unruh Civil Rights Act defines violations of the ADA as acts of discrimination — this verbage has not changed. Intention is unimportant to this ruling, as proven in so many court cases. 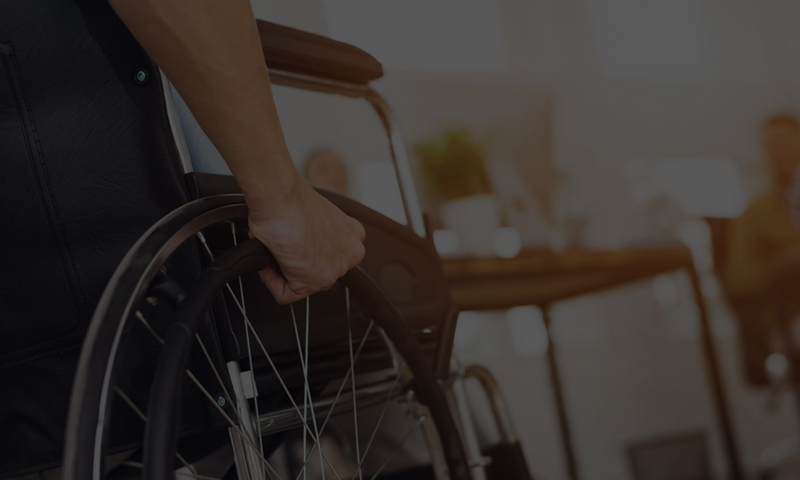 Businesses that do not comply with the ADA regardless of getting CASp or not still carry the steep fines associated with acts of discrimination — $4,000. ADA Reform however, is not finished. Much of SB 1608 mentions benefits to business — offering little or no compensation for the rights of the disabled. You can be sure there will be an increased effort of disabled advocates to have their say as well. How to put a price tag on your liability. If you’ve decided that getting an ADA compliance report is for you, congratulations. Our ADA Consulting Services. If you have questions or concerns call us at 866 982 3212 extension 1! Or email us at help@accesssolutionllc.com. Our advice is always free.